The CCSO Operations Division is commanded by a Major and a Captain and consists of the department’s Patrol Division, K-9 Unit, School Resource Unit, Neighborhood Enforcement Unit and the Special Projects Units. The Patrol Division has the primary responsibility of protecting the public through the detection and the prevention of crime. Deputies assigned to the Patrol Division are responsible for handling calls for service, preparing crime reports, investigation traffic accidents and speaking to and supporting victims of crime. Members of the Patrol Division are also engaged in daily community policing efforts which include addressing the communities’ quality of life issues. The Patrol Division is divided into four patrol groups, each being staffed with a Lieutenant, a Sergeant and two Corporals. The County is divided into nine patrol areas with at least one deputy assigned to each area. The agencies K-9 Unit consists of five deputies and five dogs, three dogs are trained in Patrol and Narcotics detection. One is a bloodhound for search and rescues incidents and the fifth is explosive detection trained assigned primarily to the Court House but can be utilized wherever needed. The K-9 deputies are available to the allied agencies within Carroll County and at times will respond to requests outside of the County. 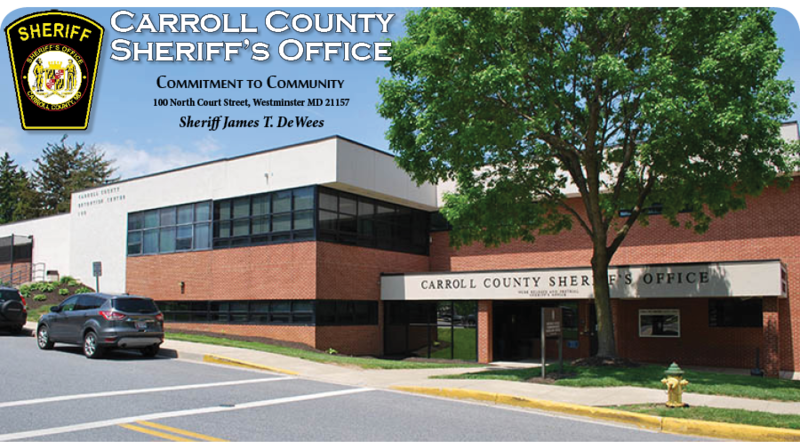 In conformance with the Safe to Learn Act of 2018, the Carroll County Sheriff’s Office employs School Resource Officers (SRO’s) to full time positions in various schools in the county. The SRO’s primary function is to provide security for the schools, students, and staff. Additionally, SRO’s work on building positive relationships in order to serve as positive role models and mentors to the school population. The SRO’s handle all calls for service that occur during the school day at their assigned school. As the unit is expanded, additional SRO’s will be assigned coverage to schools. The Neighborhood Enforcement Unit includes two deputies that are responsible for comprehensive traffic enforcement and the handling of quality of life issues and complaints. The Special Project Coordinator is responsible for managing special events and is the agency's Grant Coordinator.